Can delayed/extended-release methylphenidate allow for once daily evening dosing in ADHD?
) to read the full-text article free on the Journal of Child and Adolescent Psychopharmacology website. The article is entitled “Pharmacokinetics of HLD200, a Delayed-Release and Extended-Release Methylphenidate: Evaluation of Dose Proportionality, Food Effect, Multiple-Dose Modeling, and Comparative Bioavailability with Immediate-Release Methylphenidate in Healthy Adults.” Coauthors Bev Incledon, PhD, Ironshore Pharmaceuticals & Development, Inc., (Grand Cayman, Cayman Islands) and colleagues from University of Maryland School of Pharmacy (Baltimore, MD) and Highland Therapeutics, Inc. (Toronto, Canada) set up a series of studies to be able to evaluate different doses of HLD200, the potential impact of taking the drug in a fasted state or following a high-fat evening meal, and the effects, if any, of a low-fat versus a medium-fat breakfast. The authors also evaluated different dosing strategies. “For many parents whose children with ADHD are very restless and impulsive from the moment they awake, mornings are very difficult before their first dose of medicine starts to work. This new formulation may potentially correct these early morning problems,” says Harold S. Koplewicz, MD, Editor-in-Chief of the Journal of Child and Adolescent Psychopharmacology and President of the Child Mind Institute in New York. 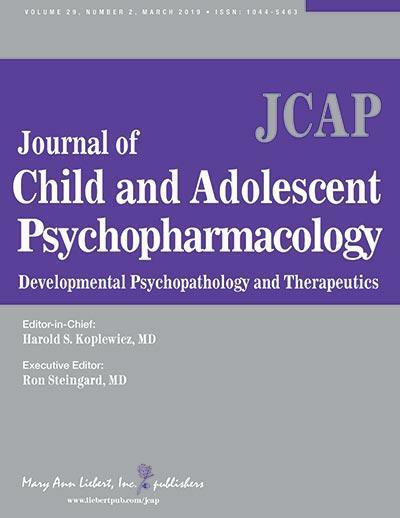 Journal of Child and Adolescent Psychopharmacology is an authoritative peer-reviewed journal published bimonthly in print and online. The Journal is dedicated to child and adolescent psychiatry and behavioral pediatrics, covering clinical and biological aspects of child and adolescent psychopharmacology and developmental neurobiology. Complete tables of content and a sample issue may be viewed on the Journal of Child and Adolescent Psychopharmacology website. Mary Ann Liebert, Inc., publishers is a privately held, fully integrated media company known for establishing authoritative peer-reviewed journals in many promising areas of science and biomedical research, including Cyberpsychology, Behavior, and Social Networking, Games for Health Journal, and Violence and Gender. Its biotechnology trade magazine, GEN (Genetic Engineering & Biotechnology News), was the first in its field and is today the industry’s most widely read publication worldwide. A complete list of the firm’s 80 journals, books, and newsmagazines is available on the Mary Ann Liebert, Inc., publishers website.